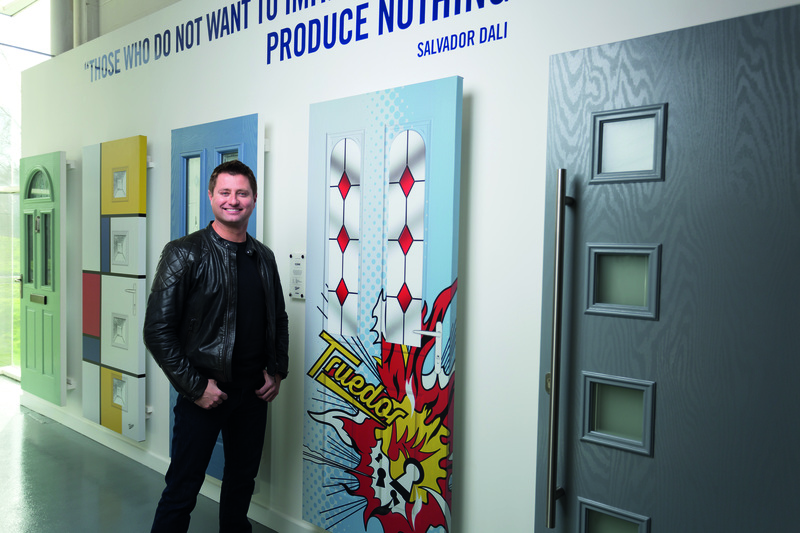 Truedor Ambassador George Clarke will be opening the Master Fitter Challenge at this year's FIT Show at the Telford International Centre next month. “We are delighted to announce that the Master Fitter Challenge in the FIT Show atrium will be officially opened by George Clarke - IG Door’s ‘Truedor Product Ambassador’. George who has been working with IG Doors for the past two years to promote the benefits of the Truedor Partner Programme, will open the competition at 10am on Tuesday 12th April, and will be on their stand 268 throughout the remainder of the first day of the FIT Show”. Having formally launched their Truedor trade offering at the FIT Show in 2014 IG Doors are returning to Telford two years on and with a great story to tell about partnering in its truest sense. The Truedor Partner Programme will be at the heart of its show offering and the stand has been designed to demonstrate the different levels of support available to meet the demands of different installer businesses. Richard Kirman Sales and Marketing Manager for IG Doors Trade Division explains further, “I guess you could say, just like as with our doors, everything is made to measure – one size absolutely does not fit all”. “As with many things in our business and our service offering we try to do things that little bit differently, detail is really important, and we are very keen to treat each and every one of our customers as individual businesses”. “The essence of the Truedor Partner Programme is that we work with each of them to understand and assess their needs, and then we tailor our support package to meet those specific requirements”. “For example, the needs of a business with a large showroom are entirely different to the needs of a one-person business – they are both equally important to us as customers, but it would be foolish of us to think that we could offer a support pack which meets both their needs, it simply wouldn’t be beneficial to one or the other of them”. “That’s why we have gone down the route we have in terms of our Partner Programme and it is also why visitors to our stand at the FIT Show will be able to see tangibly what we can offer them in terms of support. It will be a really exciting stand and a great opportunity for us to work with customer groups at all levels of the industry. It is another of the things which we hope sets us apart as a company, and installers will be able to see for themselves just how much we understand and value their business”. It offers something for the smaller installer businesses as well as for larger installation businesses who operate out of showrooms and the Truedor team will go through the process to understand the needs of the customer before offering a tailored pack to support them with their business plans. Richard continues “when we asked George Clarke to be an ambassador for the Truedor range it was on the basis that we felt he had real credibility – a ‘celebrity’ yes – but one who people could believe in and trust in his sincerity”. “We have not been disappointed; his involvement with us has been a real success and he has been really well received. In fact, he has really brought something to the party, his knowledge of buildings is one thing, but his real passion for making homes great places to live has really shone out and this has really added to our presence in the market”. “That our customers can also benefit from our association with him is an added bonus for them and we are delighted to be able to include them in. It is always great when we go to one of our installer partner’s showroom and see the photos of George with our products and hear how much their customers also really appreciate it and take confidence from it”. “We believe our Truedor Partner Programme is something really different from the support offered by others in the market, and we look forward to welcoming visitors to our stand at the FIT Show to see it for themselves”.